Jared Unzipped: Five Surprising Uses For Rubber Bands. We all love rubber bands. They're great to shoot at a classmate or office buddy. They can hold your pens and pencils together. You can put one on your wrist to remind you of something. 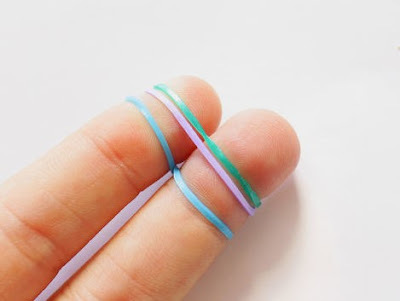 And yet, here are five more ideas for using a rubber band that you probably would have never considered. Rest assured, there will be nothing perverted on this list. Removing a stripped screw. 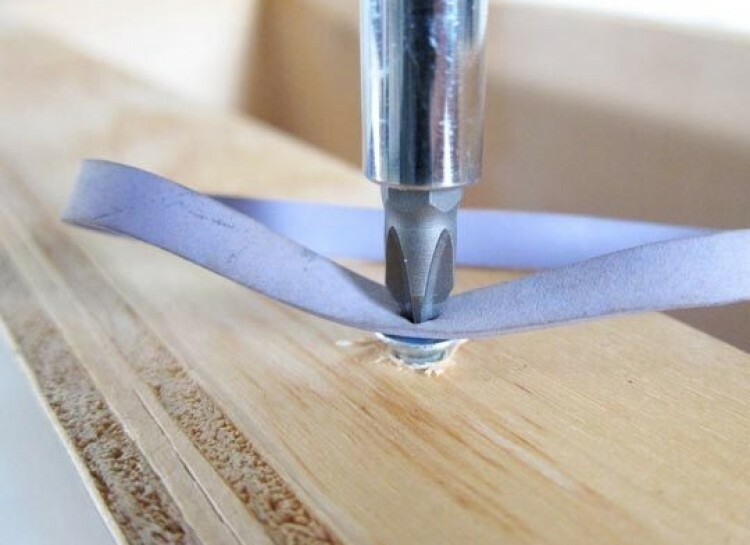 Just press a thick rubber band over the stripped screw head, then insert your screw driver. The extra tension created by the rubber should get it turning. Turning slick pages. This is a great trick for cashiers, bank tellers or people that deal with a lot of paperwork. The rubber helps to create the necessary friction to turn paper easily. Marking drinks at a party. Throwing a party and everyone has the same cup? 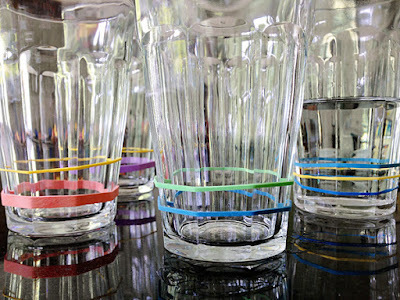 Mark those cups with colored rubber bands and no one will mistakenly drink after someone else. Keeping cabinet doors closed. Have a child or pet that likes to dig in your cabinets? 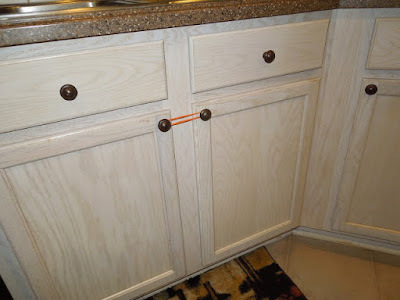 A rubber band will help keep those doors shut and the contents inside secure. Using as a bookmark. 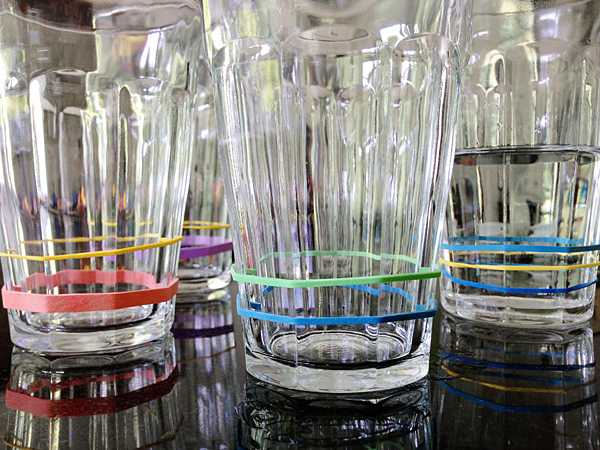 A rubber band can make it easier to find your place. 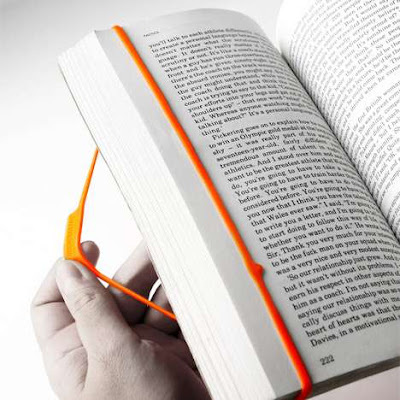 Much less, it prevents the damaged that can be caused by a bulky or metal bookmark.